JUJU Joints are the perfect balance between quality, convenience, and discretion. Winner of Best Marijuana Product of 2015 in the Seattle Weekly Reader’s Poll, JUJU is leading the industry in disposable vapes. 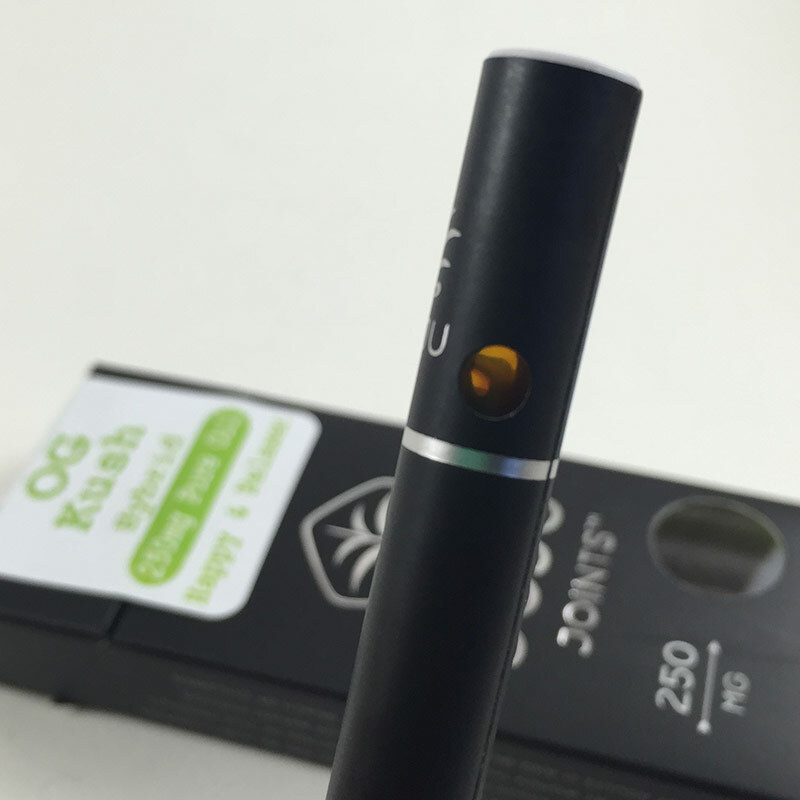 Each JUJU Joint comes pre-filled with the highest quality cannabis oil and a pre-charged battery, all in one vape. Ready to go right out of the box, simply take a few discreet puffs and feel its long-lasting effects within minutes while leaving behind very minimal odor – it doesn’t get more convenient than that! The JUJU Joints Black line is available in various Indica, Sativa, and Hybrid strains. The White Rx line is available directly through JUJU Joints and legally ships to all states within the U.S.
Cannabis concentrates made by CO2 extraction naturally result in a thick end product. This requires blending in solvents and additives to create a cannabis oil that will vaporize from a pre-filled cartridge. 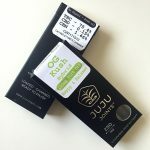 After years of research, JUJU has innovated a proprietary disposable vape pen that delivers concentrated cannabis oil in its purest form – truly, without any additives. 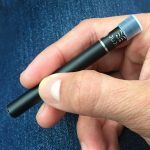 Because pure cannabis oil completely free of solvents can only be vaporized through this technology, the JUJU Joint is only available as a disposable pen and you will not find their oil available in pre-filled cartridges. Consistent hits – Automatically shuts off after a 5-second puff; harder puffs will not produce more vapor, ensuring a consistent hit every time. Temperature controlled – Heats up to exactly 355 degrees and will cut-off to prevent burning. Clean taste – Does not use cotton or nylon wicks or glycols which means no burnt taste or plugged up cartridges. Uses ceramic internal parts and no solder. 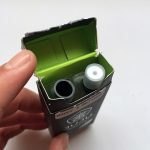 Oil level indicator – Unlike other disposable vapes on the market, these vapes have a window near mouthpiece to check remaining oil in the vape. Conveniently small – JUJU Joints are the smallest vapes on the planet making them easy to carry in your pocket. JUJU Joints have a very mild and natural taste and smell. We would consider these vapes best suited for the purest at heart. You will not experience exaggerated flavors or artificial smells like you might find with other vape brands such as HoneyVape, Spliffin, or TetraLabs Gold Carts (review on the Gold Carts soon). Don’t get us wrong, those vapes are great too, but it makes you wonder what you’re really vaping when it doesn’t taste entirely like cannabis. The JUJU Joint is incredibly convenient as it is easy to use, requires no additional components and is ready to go, fully charged right out the box. Remove the rubber mouthpiece cap, then with each hit, take a slow and steady puff for about 5-seconds – just hard enough to trigger the red light at the tip. Hold the hit in your lungs for a few seconds or as long as comfortable. Each full-length pull is metered to give a consistent dose, so pulling harder will not produce more vapor. After a full hit, the vape will cut off. Wait 10-20 minutes to feel the full effect as these vapes are quite potent. Towards the 2nd half of the remaining cartridge life, taking a full 5-second drag may burn a bit too warm for comfort. The JUJU is still enjoyable at this point, but it might be best to pull back, shortening the length of each drag to avoid throat irritation. Even at this point, the cannabis oil is still potent and quite effective. When storing the JUJU Joint, keep the device in the box standing upright, with mouthpiece towards opening. This ensures maximum vapor on the next hit. All pure cannabis oil JUJU Joints are rated at over 60%+ THC. CBD concentrations will vary depending on the type of JUJU Joints product. Approximately 4 grams of flower is extracted for every 250 mg of cannabis oil. JUJU Joints are widely available throughout Canada, Washington, Oregon, Nevada and most recently California. JUJU Joints are currently available at MedMen (formerly Cannacology) in West Hollywood and Eaze delivery service throughout most of California. If you’re in Los Angeles and you get the chance, be sure to stop by MedMen – quite the upscale dispensary! See what JUJU Joints is up to by following them on Instagram. You can find additional locations that carry JUJU Joints on their website. Find top brand cannabis concentrates, vape cartridges and flower through the EAZE delivery network. EAZE connects patients with local dispensaries in California. All new members get $20 off their 1st delivery. I’d like to know where in Toronto GTA i can purchase 500 mg of hybrid ju ju joints, please send address, telephone, website and email address.